Sometimes, a band can do everything right, and still, the pieces won’t fit completely together. 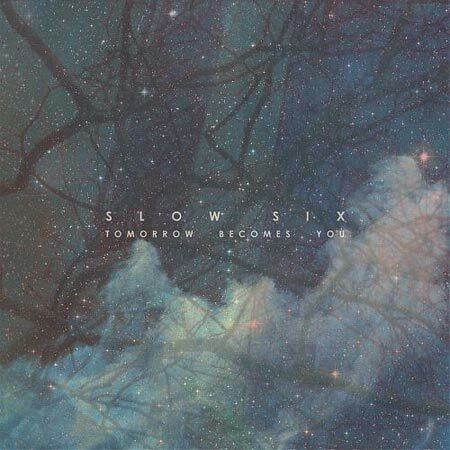 The instrumental outfit Slow Six have gone out of their way to show this on their latest album, Tomorrow Becomes You”. Despite having some great songs, the album as a whole just seems to fall a bit flat. The opening track, “The Night You Left New York,” takes an odd folk sound, combining it with the sense of distorted urgency reminiscent of Explosions In The Sky and Do Make Say Think. But unlike those post-rock masters, Slow Six tries throwing a bit too much into the mix. The strings at times sound like the soundtrack to Robin Hood, and on their own, are a nice little touch. But they don’t fit in too well with the crescendos that Slow Six uses to try and mimic of the rest of the genre. Then the band goes with a more ambient tone on the boringly-titled “Cloud Cover (part 2)”. Their gentle demeanor lends itself better to this style, where an audible infomercial/radio show mutters in the background. The strings slide in and out, and Slow Six do a much better job of melding their various influences and sounds into this style. At times, they get a bit grandiose, but they do it without getting a overindulgent on their own sound. Nothing really takes the front stage on “Cloud Cover (part 2)”, which is exactly how it should be. But then the band throws in another musical direction with the track “Sympathetic Response System (part 1)”. Featuring a more electronic influence this time around, Slow Six take an experimental approach to the point of just flat-out nonsense. It is with this track that Tomorrow Becomes You becomes truly problematic. There is just flat out too much going on throughout the disc. Each song own stands pretty strongly on its own, and Slow Six seem to be onto something with the folk/post-rock mixed with the ambient and the electronic. Unfortunately, the band insists on not building on whatever they are onto. In the end, Tomorrow Becomes You is a meandering album with no direction. Out of all genres, post-rock, ambient, and electronica require the most guidance. They are the genres of not just songs, but of albums. Slow Six need some lessons on focusing. A solid basis is there, but for three bands — not one.